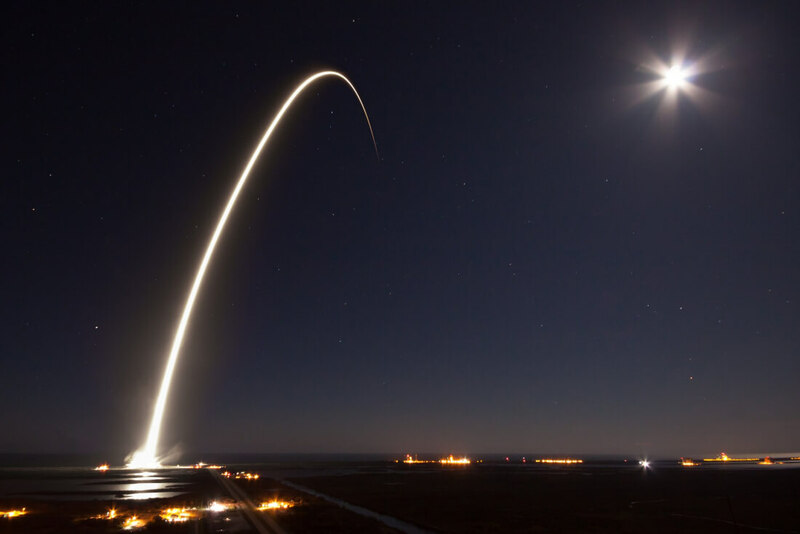 In the early hours of Thursday morning, SpaceX successfully launched a communications satellite for EchoStar. The original launch was scheduled for Tuesday but was scrubbed due to high winds. While SpaceX is known for innovation in the field of aerospace with countless launches and subsequent recoveries of their rockets, today's event was just a standard launch. The EchoStar XXIII satellite was successfully deployed to Geosynchronous Transfer Orbit and will now provide broadcast services to Brazil. GTO is considered "far" for rocket launches since it is about 22,000 miles above the Earth's surface. The satellite was also on the heavier side compared to most launches SpaceX has done. Because of the distance and weight, the rocket needed to carry extra fuel which did not leave room for landing equipment. The Falcon 9 rocket that was used is also nearing its end of life. SpaceX will be transitioning to the Falcon Heavy rocket soon as the Falcon 9 is nearing its final upgrade version. Elon Musk first unveiled the Falcon Heavy back in 2005 where it was described as 3 Falcon 9's joined together. With 27 engines, the Falcon Heavy is the most powerful rocket ever besides the Saturn V.
The Heavy is scheduled to begin flying in the summer of 2017. The launch took place at NASA's Kennedy Space Center on Launch Complex 39A, the same pad that launched people to the moon on Apollo 11. Back in 2014 SpaceX signed a 20 year lease with NASA to use this launchpad.